Age 92 years, of Wahiawa, Hawaii, was called home to be with our Lord on November 12, 2018 in Wahiawa, Hawaii. She passed away in her sleep at home surrounded with love by all her children, grandchildren, and great-grandchildren. 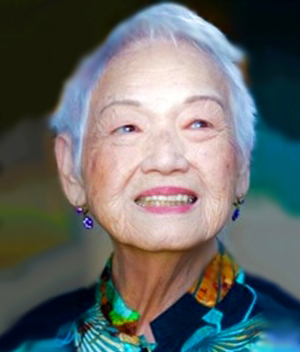 Asako was born in Honolulu, Hawaii on November 30, 1925. She was the daughter of Juntaro Ono and Mitsuno Shiyeno of Niigata, Japan. She is survived by her children: Gwendolyn (Wallace) Mitsui, Stephanie (Theodore) Cuyno, Ilene (Robert) Samson, Robert (Diana) Diana, Cheryl Hay, Lynda (Wesley) Taira, Deborah (Malcolm) Maglasang. Asako was predeceased by her beloved husband Bernard Aquinaldo Diana, son Glenn Diana and daughter Robbie (Gilbert) Garliyo. Asako is survived by 25 grandchildren and 23 great-grandchildren. She was known by her family and friends to have a gorgeous smile, a gentle spirit, warm personality and was hospitable to all she met. A funeral mass will be held at Our Lady of Sorrows Church, 1403 A California Avenue, in Wahiawa on December 8, 2018, at 11:00 am. Visitation will begin at 9:30 am. Private inurnment will be on December 11, 2018 at Schofield Post Cemetery.